North America dominates the C4ISR market, by region. Countries in this region include the US and Canada. The North American C4ISR market is mainly driven by the US Army’s overseas missions and the need to safeguard homeland security. The countries in North America are investing in research and development and acquisition of various C4ISR systems and subsystems to shorten mission cycle time and to reduce the number of casualties. Key players profiled in the C4ISR market report include Lockheed Martin (US), Raytheon (US), Rockwell Collins (US), BAE Systems (UK), Thales (France), Leonardo (Italy), Elbit Systems (Israel), and Northrop Grumman (US), among others. 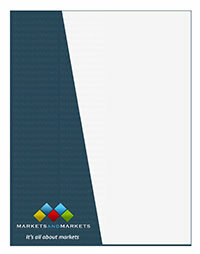 From an insight perspective, the C4ISR market report has focused on various levels of analysis industry analysis, market share analysis of top players and company profiles, which together comprise and discuss the basic views on the competitive landscape; high-growth regions and countries and their respective regulatory policies; and drivers, restraints, and opportunities.